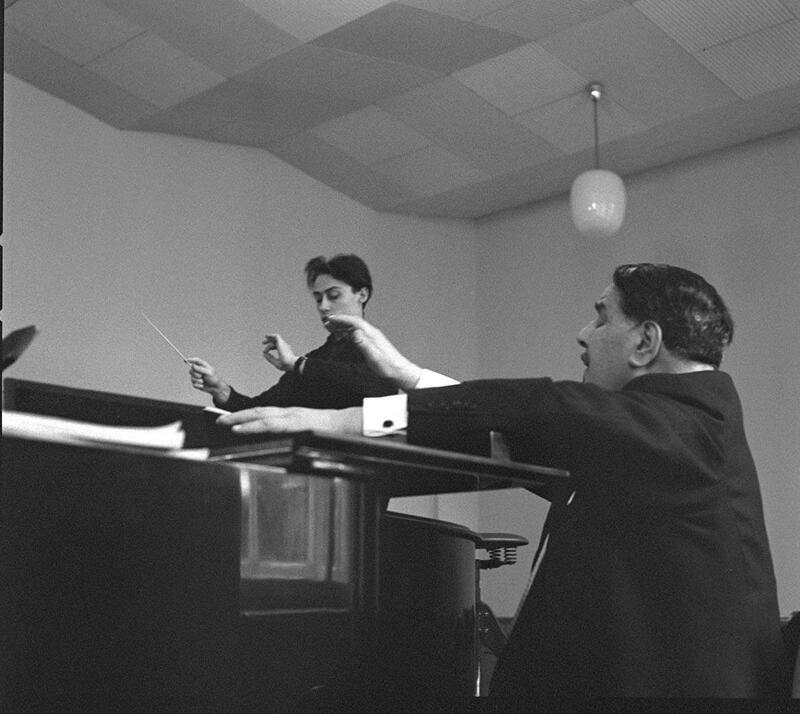 My first conducting teacher at the hochschule was a man named Lindermann, who was, if not technically close to Jean Morel, at least an excellent musician. When Lindermann, who had a heart condition, retired, Krauss took over his class. Krauss was a "nice" man, more or less, who had had a successful career conducting opera, but was far from a luminary in the field. He was, as they say in Germany, a "Routiniere" (routine). But he was nice and tolerant to me and allowed me to photograph him during class.